In determining aftercare news coverage for its various platforms, including the distribution of press releases, BloodHorse uses accreditation by the Thoroughbred Aftercare Alliance as an important barometer of an organization’s integrity and credibility because TAA’s extensive accreditation requirements include a detailed application process and on-site inspections. This standard had not been in place for BloodHorse blogs when “Hangin’ With Haskin” published its feature about Dina Alborano’s I Care I Help organization but will be going forward. 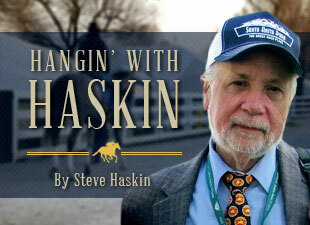 This standard along with serious concerns raised recently about the I Care I Help organization and discussions with author Steve Haskin factored into the decision to remove this blog entry from BloodHorse.com archives. BloodHorse will not categorically dismiss a positive feature on an unaccredited organization recognizing that such programs may be doing valuable work, but these organizations will face greater scrutiny. The industry has in place a system to ensure the quality of aftercare programs and BloodHorse will use those resources in its editorial decisions. BloodHorse is committed to thoughtful, thorough, and responsible news coverage of all aftercare-related issues and rescue organizations and will be covering the I Care I Help situation as it develops. "Somehow this situation has gotten completely out of hand between these two factions (I Care I Help and the National Thoroughbred Welfare Organization). "I just don’t understand this because everyone is trying to do good, everybody is working for a common cause, and now it has become too ugly and hostile and counterproductive. I don’t get involved in Dina’s rescue affairs. She has always indicated to me that all she wants to do is rescue animals, especially horses. I also wrote the first story on NTWO and fully support what they do, and I think what Maggi Moss does is terrific.